Outside Innovation: Blackberry’s Fate? Why Not Ask the Customers? 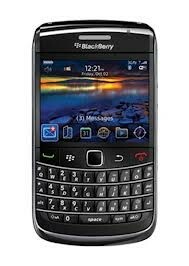 RIM, the maker of the Blackberry, is in financial difficulties, having lost $1 billion in the last 12 months. Rumors have been rife of RIM’s Board and management looking for an acquirer. Apparently, they have been talking with Facebook and Google. Some pundits think that Apple should buy them with its hoard of cash, and just take them off the market and out of the hands of competitors. But what do RIM/Blackberry’s remaining customers want? What brand ownership would they feel comfortable with? Which company might actually appreciate the Blackberry’s brand promise: the best mobile phone for power email users with adequate security for business correspondence (pre-NSA disclosures). Maybe they should ask President Obama? He’s an avid Blackberry user. Since RIM is a Canadian firm, they felt that the acquiring company should not be based in the U.S., but already have a strong U.S. presence (for security and privacy reasons). It should be a brand that is trusted for excellent consumer as well as business customer support. It should be independent of mobile carriers, but really easy for all of them to do business with. It should have deep pockets and a sound international business strategy that could expand upon and leverage the loyal email-addicted power elite who prefer Blackberry’s productivity. So, what brand/company fits this bill?? I received some surprising answers: Sony, Sharp, and Lenovo were top of mind. The other suggestion is that co-founder Mike Lazardis takes the company private. However, when asked to choose between Microsoft, Google, Apple, Facebook, and Amazon—all U.S.-based companies—many existing Blackberry customers would prefer Apple, just because of Apple’s famed customer service. BlackBerry is BlackBerry, not Research In Motion. Changed the name this year.